MTV's Video Music Awards were flamboyant and at times outrageous, but that couldn't prevent its television audience from slipping slightly. At the same time, however, its online audience -- from Twitter to streaming -- increased. On TV, the awards show had a hefty 9.8 million viewers across MTV and nine other Viacom owned channels and was the number one cable show among viewers 12 to 34. That was down from last year's 10.3 million viewers, but live streaming was up with more 19.1 million streams, a 155% boost over last year's streaming audience. There was also a deluge of 21.4 million tweets about the show, the most for any program this year except for the Super Bowl. The awards show broadcast from Los Angeles was hosted by Miley Cyrus and saw Taylor Swift take home the biggest Moonman of the night winning the Video of the Year for "Bad Blood." However, the most talked about moment of the VMAs was when Swift presented the Video Vanguard Award to Kanye West and he claimed he will run for president in 2020, a moment that triggered 247,525 tweets. The VMAs have been one of television's most chaotic and must-watch awards shows since it premiered in 1984, and this year's edition was no different. Much of the chaos was thanks to Cyrus, who was bleeped out by censors multiple times as she hosted the show wearing a closet-full of risque outfits. 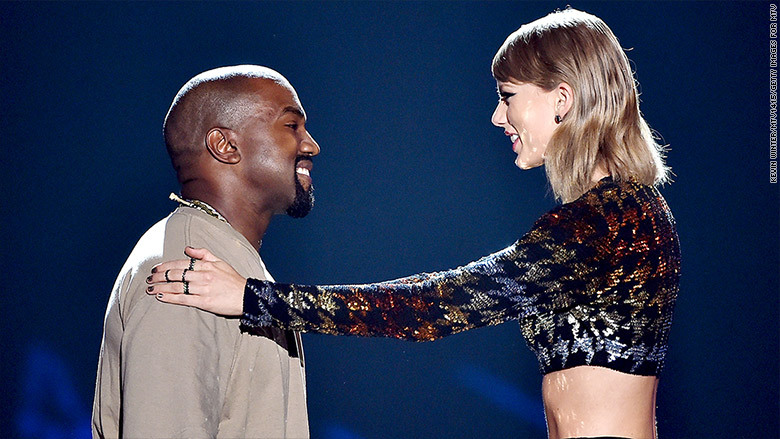 Kanye West and Taylor Swift at 2015 VMAs. The pop star also found herself in the middle of the show's biggest controversy when she was called out live on stage by rapper Nicki Minaj. Minaj, who won for Best Hip-Hop Video, stopped her acceptance speech to address what Cyrus had said about her to the New York Times saying, "Back to this b**** that had a lot to say about me in the press. Miley what's good?" 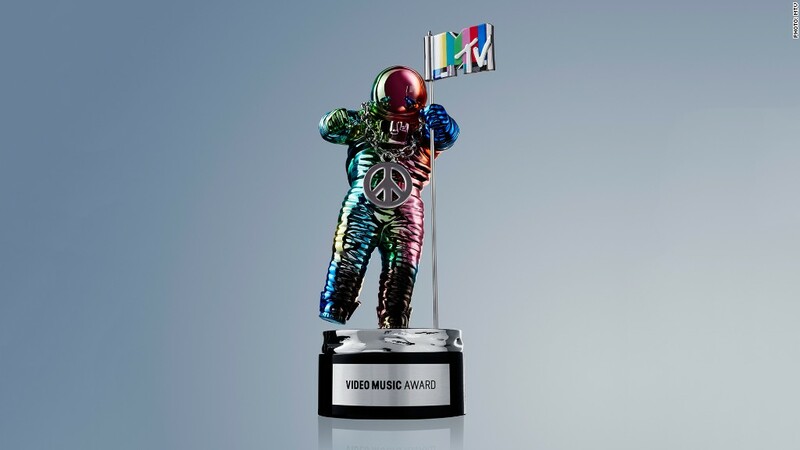 Reception for the VMAs were mixed with some critics finding it confusing and incoherent and others thinking the mayhem made for good TV. "The 2015 V.M.A.s... were defined not by Ms. Cyrus's stagy shock, but rather by eruptions of extreme sincerity, sometimes bursting out of situations that were clearly contrived, and sometimes not," wrote the New York Times' Jon Caramanica.